Two adults and three children were found dead Saturday inside a small cabin in north-central Pennsylvania with "toxic levels" of carbon monoxide in their blood, authorities said. A propane heater was being used in the cabin but was not properly ventilated, according to a state police report. 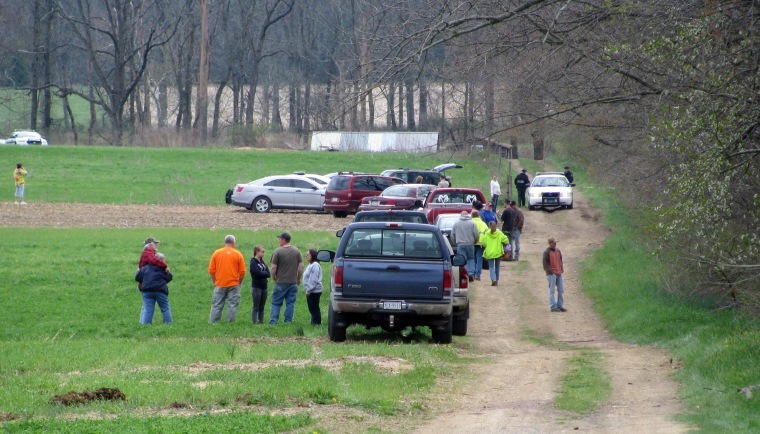 The bodies were discovered by the owner of the 10- by 16-foot cabin just before noon in rural Washington Township in Lycoming County, state police Capt. David Young told the Williamsport Sun-Gazette. Young said the preliminary investigation showed no signs of foul play and the cause of the deaths was not considered suspicious. The two adults were identified as 23-year-old Jacqueline R. Stackhouse, of New Columbia, and 30-year-old Nathan L. Reece, of Muncy. Authorities did not release the names of the children — a 9-year-old girl, a 4-year-old girl, and Stackhouse's 3-year-old son. Aside from the mother and son, police did not know how the victims were related. Authorities say the property owner, whose name was not released, hosted a friendly get-together Friday night and slept in his truck outside the cabin before awaking Saturday and later finding the bodies. County Coroner Charles Kiessling pronounced all five dead at the scene. Some relatives of the victims watched near the cabin, as authorities investigated. "It was a hysterical scene, especially for the parents of some of the victims," Young told the newspaper in describing the reaction from family and friends when told of the deaths.